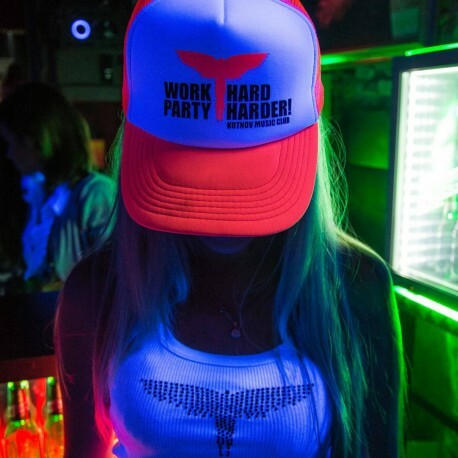 Cap in successful edition Work Hard, Party Harder! Made for Music club Kotnov in a limited edition of 999 pieces. 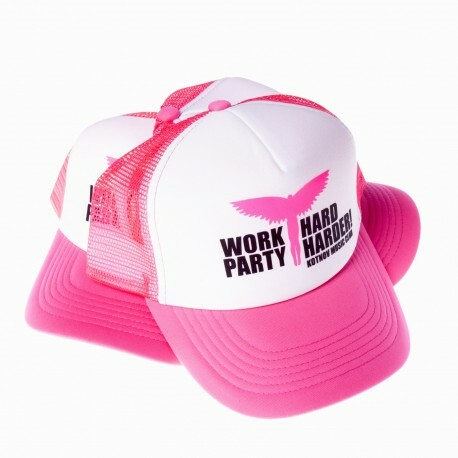 Trucker caps style is a classic adjustable cap with mesh back and open back panels with adjustable strap. Pre- peak and tightly structured crown caps trucker gives this model its distinctive shape and popularity worldwide.